The Loyal Corn Festival is one of the premier small town festivals in the area. Many different skills, talents and ideas are needed for each event though out the weekend. 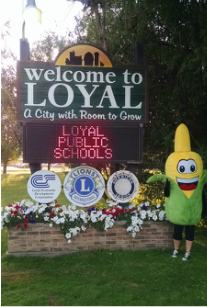 If you would like to donate your time or talents to the Loyal Corn Festival, just attend one of our monthly meetings at the Loyal Public Library or contact an existing committee member. Whether you have an hour to give or are available for the whole event, any time is greatly appreciated. Students are encouraged to volunteer. Scholarships will be awarded every year to the students who have contributed to the Loyal Cornfest. School guidance counselor will have details. IF you are interested in volunteering, please provide your contact information below. Add your preferred shift(s) information to the comment box. click submit when finished and a member of the corn festival committee will contact you.